We were privileged to talk with Alice Korngold about our upcoming study, and how it will be supported by big data analytics. The ‘Better World Leadership: The Nonprofit Board Leadership Study’ is to be released in early 2018. Datamaran is delighted to be a key partner, and will provide research data and technical advice throughout. Additionally, this collaboration features six multinational corporations (American Express, HP, Johnson Controls, PIMCO, Symantec, The Dow Chemical Company) and The World Environment Center. Korngold is an experienced social entrepreneur, published author of two books on board governance, and Professor. 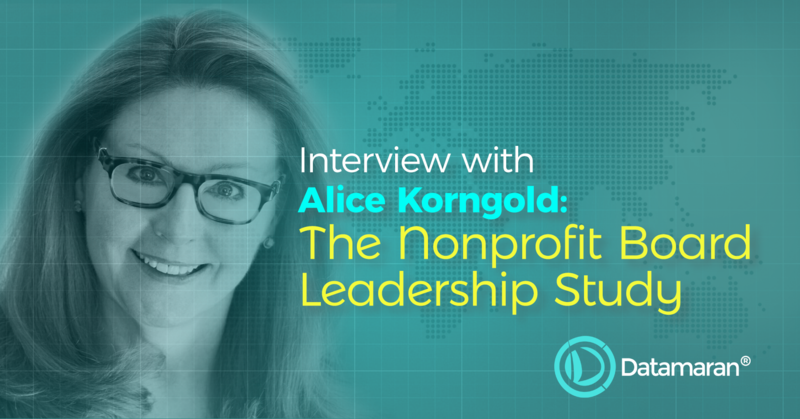 In the interview, she shares her belief that Nonprofit board service can be a powerful place to develop leaders. Furthermore, Korngold reveals her hopes for the study and the potential benefits to people and organizations. Could Nonprofit Board Leadership be a good way to engage millennials? Finally, in the third part, Korngold explains her interest in partnering with Datamaran. As a bonus, there is even a sneak data preview of the type of companies already active in this area..
Can you introduce yourself and tell us more about the study? “We see so many cases and stories of the leadership development value. To the candidates, the value to the Nonprofits, and how this process - Nonprofit board involvement by business people - improves communities. It's important we capture more serious data and move beyond anecdotes." How Is Engaging in Nonprofit Board Leadership A Way To Engage Millennials? What Interested You About Partnering With Datamaran? If you enjoyed this blog, you may also like our 'Women In Leadership' series. We put the spotlight on women doing wonderful things in the world of business. 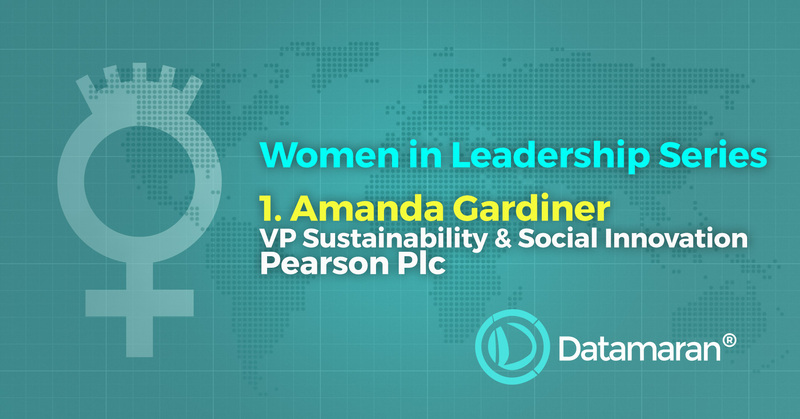 Take a read of part 1, Amanda Gardiner, Pearson Plc. Know someone who should be featured? Get in touch and tell us who and why!